I HAD always assumed that I would be the least vulnerable among family members and friends to contract the dengue virus. But there I was, languishing at the Universiti Kebangsaan Malaysia (UKM) Klinik Warga under the care and attention of specialists and nurses. It was an excruciating experience over six days in January. Bear in mind that there is no specific medication for dengue. Medical care largely consists of monitoring symptoms and vital signs, maintaining hydration, and a blood transfusion in the most severe cases. Fortunately for me, I did not need a blood transfusion. But it was still a little humiliating and embarrassing to be laid low by the bite of an insect. So when I read the news about the success of a pilot project by the Institute for Medical Research (IMR) to contain the Aedes Aegypti mosquito, from which the dengue virus is transmitted, I was relieved. 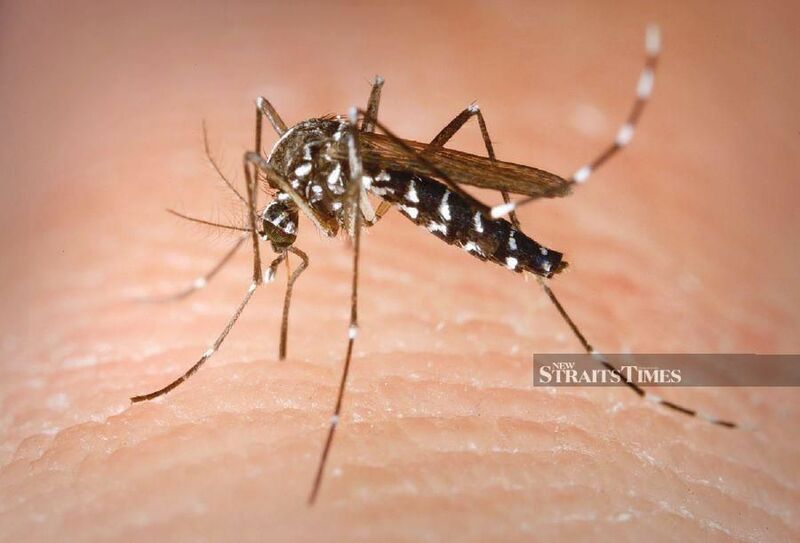 IMR had used a biological agent — the Wolbachia bacteria, a natural bacteria present in up to 60 per cent of insect species, including some mosquitoes, but not commonly found in the Aedes mosquito. Over the past two years, three million Wolbachia-infected Aedes mosquitoes have been released by IMR into the wild at seven dengue hotspots. Health director-general Datuk Dr Noor Hisham Abdullah said the results of the project were encouraging, with about 80 per cent success rate. IMR director Datuk Dr Fadzilah Kamaluddin said the World Health Organisation had recommended it, after having proved it successful in a few countries previously. Dengue is the country’s most prevalent disease — about 330 cases per 100,000 citizens. Now that’s well over twice as many cases as our second most common disease: hand, foot, and mouth disease (152 cases per 100,000 people). WHO regards dengue as one of the most dangerous mosquito-borne viral diseases in the world. The dengue virus causes flu-like illness and may develop into a serious condition with severe abdominal pain and bleeding or bruising under the skin. Found mostly in tropical and sub-tropical climates worldwide, there are now 30 times more cases globally than there were five decades ago, according to WHO. Some 50 to 100 million new infections are estimated annually in more than 100 countries, Malaysia included. Every year, hundreds of thousands of severe cases result in 20,000 deaths. Pioneering work on the Wolbachia bacteria was conducted by Prof Scott O’Neill in the 1980s. His “Eliminate Dengue Research Programme” was based on years of laboratory research and extensive small-scale field trials. He and his team from Australia’s Monash University proposed Wolbachia infection of mosquitoes to stop dengue transmission in 2005, and the idea advanced with financial support from the Bill and Melinda Gates Foundation. IMR had collaborated with the University of Glasgow and University of Melbourne on the project that was funded by the Wellcome Trust. What is interesting is the “Replacement Method” used to identify how Wolbachia-infected mosquitoes could assist in the reduction of Aedes mosquitoes in hotspot areas. By mating the Aedes mosquitoes with Wolbachia-infected mosquitoes, says Dr Fadzilah, “Aedes mosquitoes will eventually be incapable of transmitting dengue to humans. In time, elimination of the disease will become a reality”. There are a number of other strategies by the Health Ministry to control and prevent dengue. These include eDengue, the Internet-based real-time monitoring system, and a dengue epidemic management system to enhance surveillance. Community gotong-royong is also periodically carried out at Aedes mosquito breeding grounds and at the national level twice a year. In addition, there is the Dengue Free programme and Communications Programme for Behavioural Change (Combi). These laudable, pre-emptive and proactive measures are being augmented by additional scientific research and development. An observation, though. Our local universities are mostly absent in this collaborative international research and development. With most research funding in the country being channelled to universities today, the Aedes mosquito menace must surely qualify as one of the “grand challenges” which our universities should take up.